I built this cabin using your Carpenter’s Axe and little else (no power tools). What a great tool! Turns out the note came from Tony Berardino, a professional farrier from Napa, CA. When we chatted with him by phone, we learned he always wanted to build a cabin. 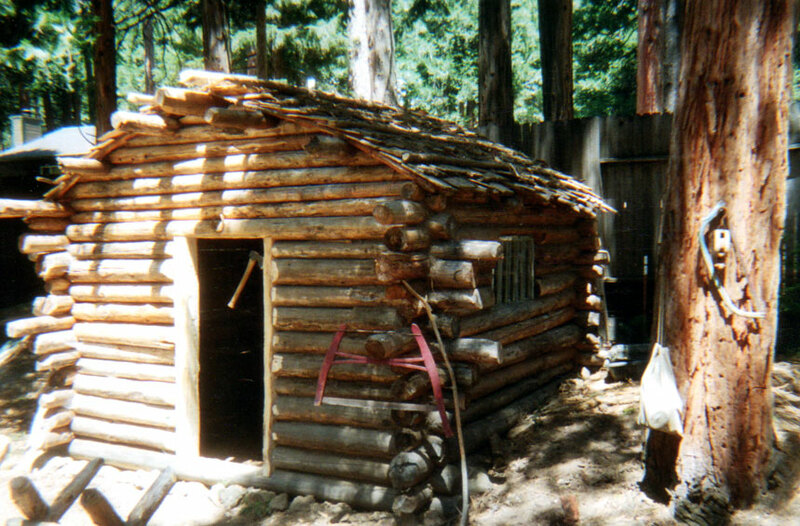 The year he built this one, there had been a forest fire up behind where the cabin is located now, and a bunch of logs were cut down to try to stop the fire spread – Tony went up and grabbed the logs and they became the main material he used. 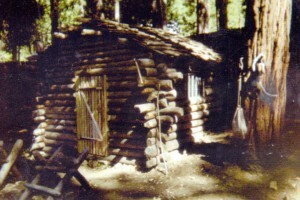 He is proud to say he didn’t require any power tools to build the cabin, and his Gransfors Bruks Carpenter’s Axe ended up being the main tool he used. He found it useful for making the saddle cuts for the logs, as well as shaping some of the logs so they would fit into the structure without much gap in between them. Tony has several axes, but found that the Carpenter’s Axe was really perfect for the work he needed to do to build the cabin. In his opinion, each axe by Gransfors Bruks is perfect for the purpose it is made for. As for his interests outside of building cabins and farrier work, Tony says ‘the simpler the better’ – he likes to make rustic furniture and wood carvings. He says he isn’t in a hurry, and tries to do things by hand and without power tools just for the fun of it, and because he finds the results to be very rewarding. Tony works as a farrier all throughout the San Francisco Bay Area. He also works as a general contractor.